More than 6,000 runners from over 200 law enforcement agencies battled it out for the coveted trophy in the 35th annual Baker to Vegas Challenge Cup Relay March 23–24. 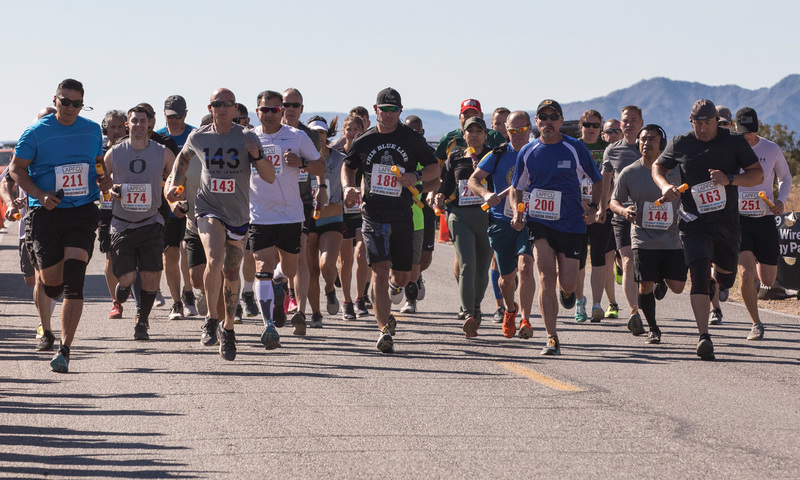 Organized by the Los Angeles Police Revolver and Athletic Club (LAPRAAC) to promote camaraderie and physical fitness among officers, the relay race through the Mojave Desert is the world’s largest law enforcement event of its kind. Participants include probation officers, district and U.S. attorneys’ office employees, and full-time civilian police personnel, as well as sworn law enforcement officers representing departments throughout California, nationwide and around the globe. This year’s champions were the Belize National Police team with a time of 12:49:44, followed closely by the Los Angeles Police Department and Los Angeles Sheriff’s Department. The 120-mile route consists of 20 legs across hilly terrain, often through extremes of heat and cold, starting in Baker, California, and finishing the next day in Las Vegas, Nevada. For all who take the challenge, it’s a testimony to dedication, teamwork and competitive spirit, as well as honoring the memory of fallen officers.